The first of its kind in Northwest Florida, The Retreat is a meticulously planned neighborhood developed in 1999 by the renowned St. Joe Company. The St. Joe Company developed The Retreat just prior to WaterColor. 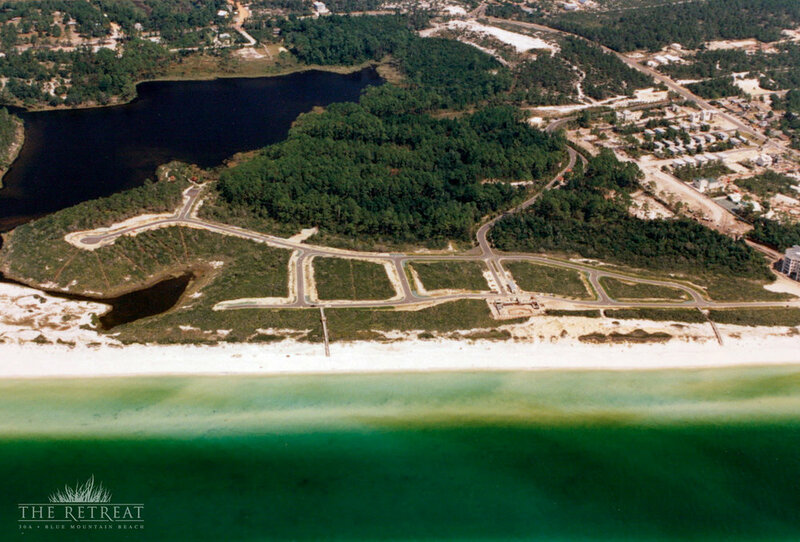 With 3,000 feet of private beach on the Gulf of Mexico, The Retreat is home to 24 gulf front properties, 22 lake front properties, and only 90 homesites total – all with picturesque views. The Retreat was expertly developed to immerse itself into the natural topography of the 90-acre property, showcasing its inherent beauty. The master plan thoughtfully showcases the best each property has to offer. While the waterfront properties garner tremendous views, those bordering the nearly 25-acre conservation preserve offer their own tranquil landscape. Enter The Retreat down a secluded quarter-mile drive surrounded by the community’s expansive conservation preserve. 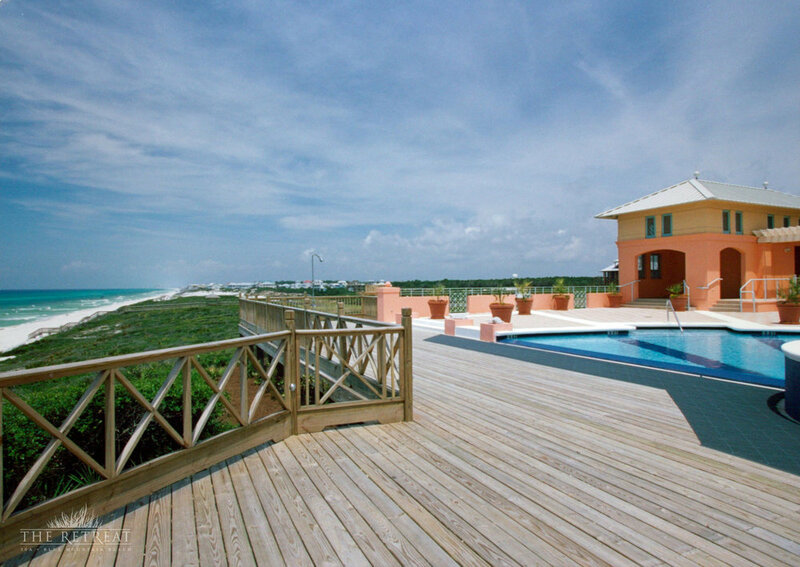 You are greeted by a guard at the gate house as you enter the enchanting West Indies style homes perfectly complimenting the natural topography. 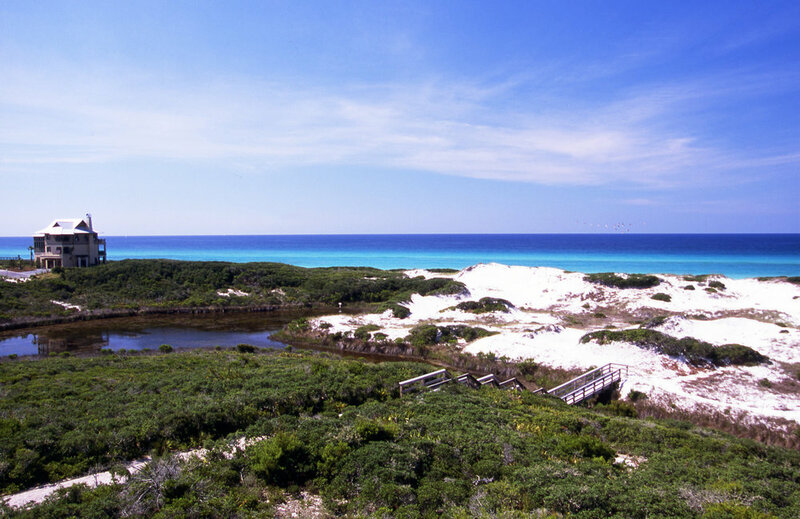 Nestled between the Gulf of Mexico, the conservation preserve and a coastal dune lake, The Retreat offers the perfect marriage of exclusivity and convenience from its secluded location on Scenic Highway 30A in the heart of Blue Mountain Beach.